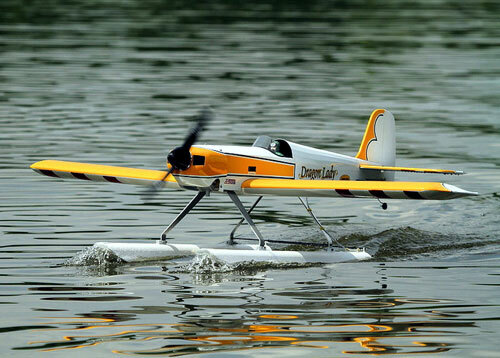 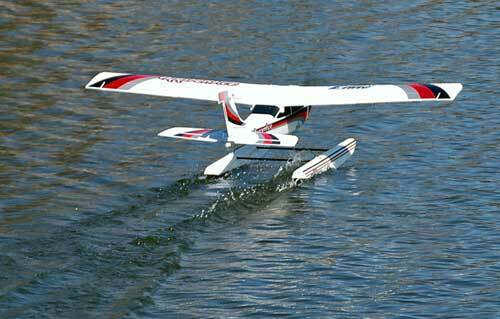 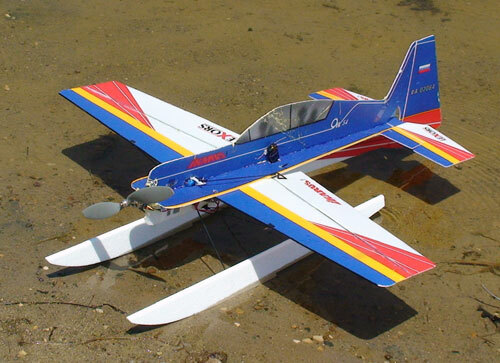 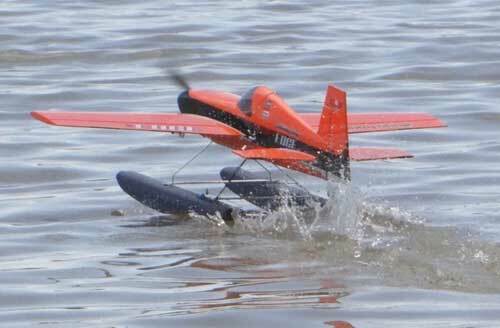 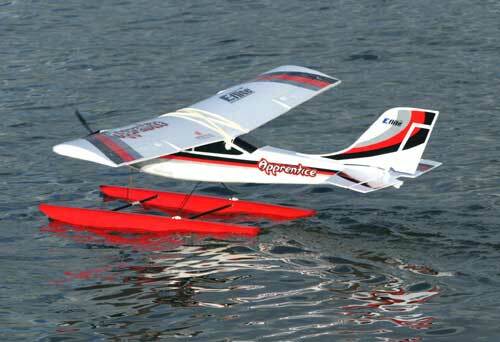 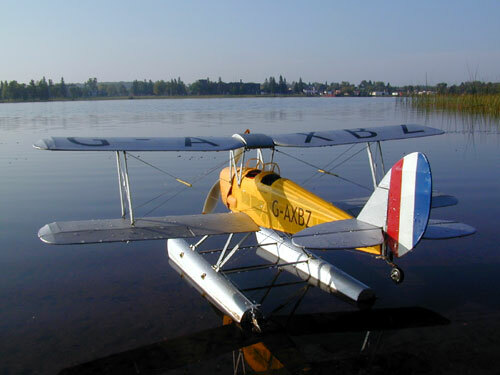 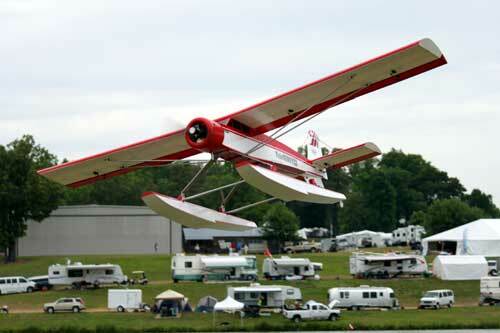 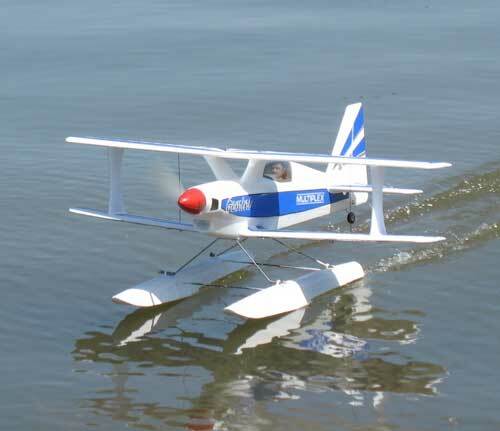 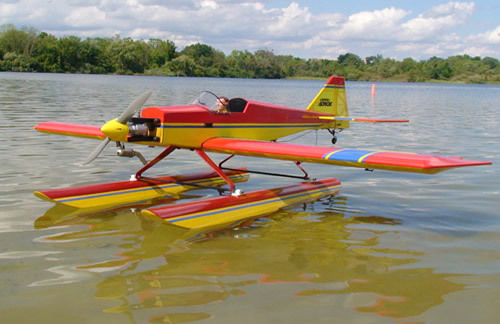 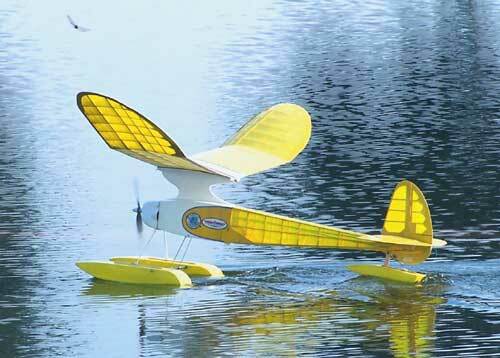 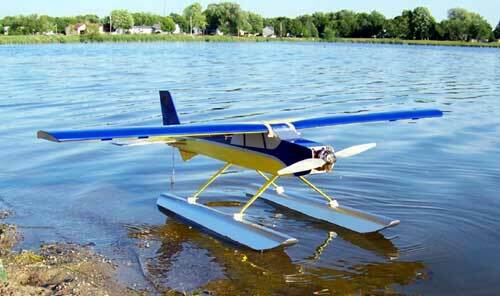 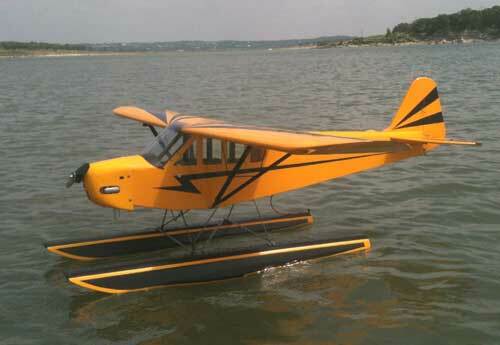 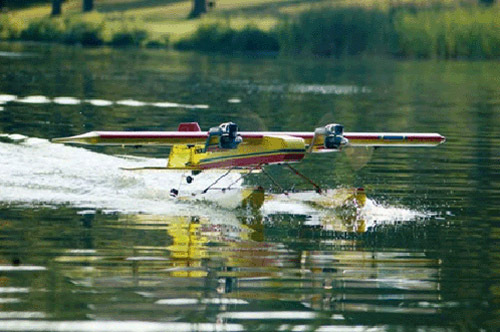 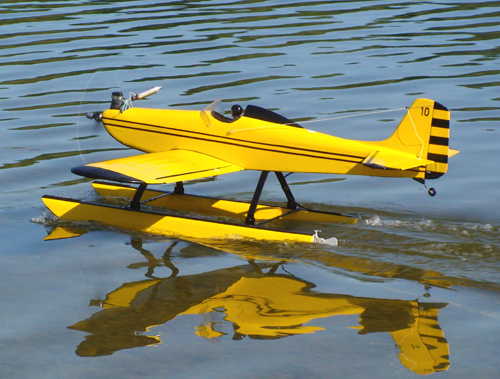 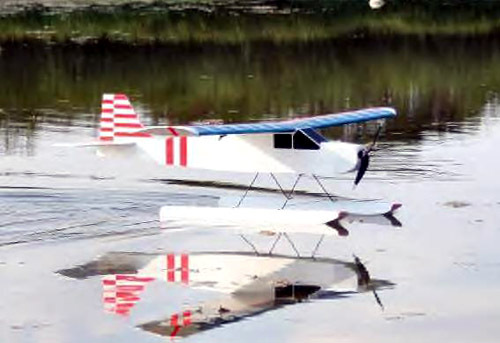 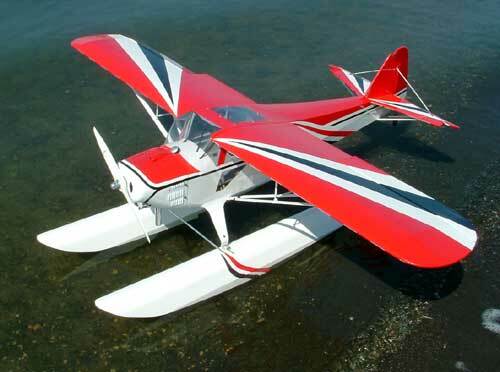 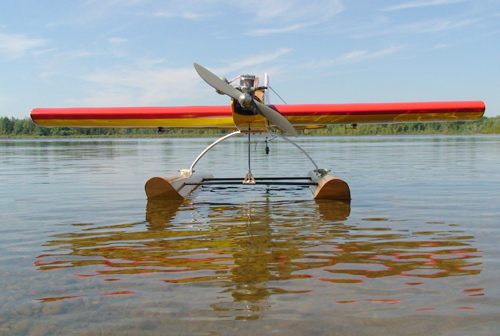 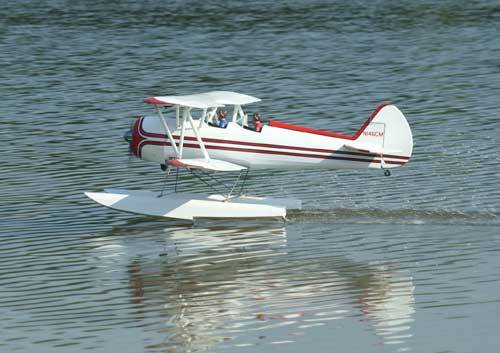 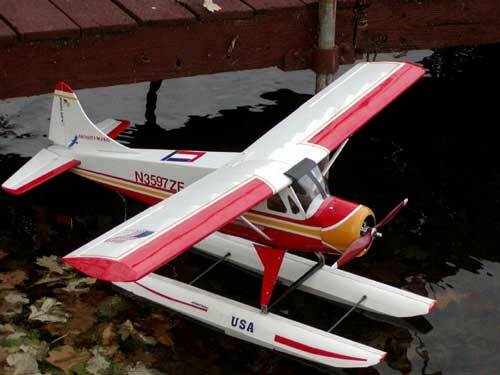 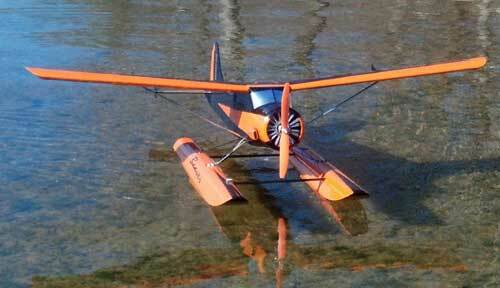 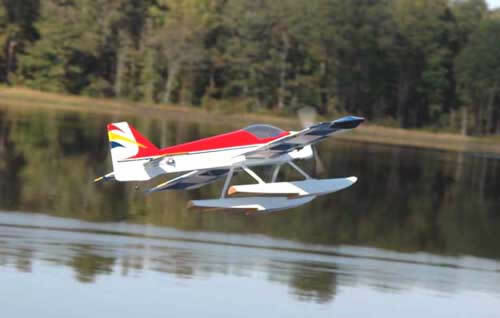 E-flite Super Cub 25e "Thanks for a great product, I purchased the 32" flat bottom floats. 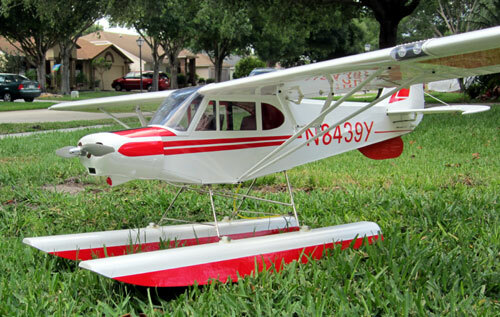 Your tutorial on the fiberglass finish was a great step by step guide, switching from the E-flite floats shaved about a pound off my AUW. 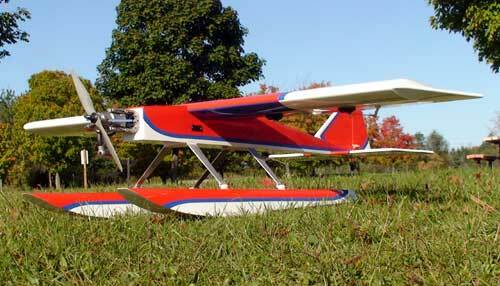 Please keep making them, thanks!" 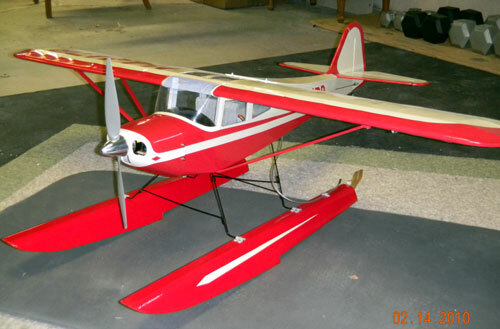 Raed E.
"I finally decided to use light weight fiberglass on the bottoms, full length, and Nelson Hobby water based poly paint, with light weight spackle to help prep the foam. 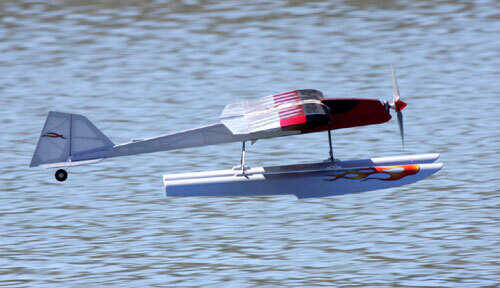 One float weighs 94.9 grams and the other is 97.4 grams. 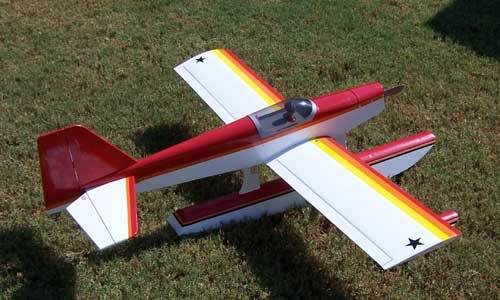 The Tcraft handles it just fine, and think the 26" length is well proportioned for the model. 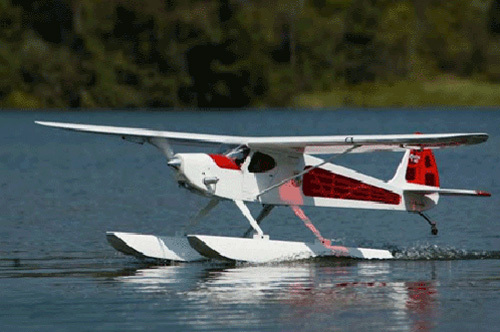 Thanks for offering a great product!!" 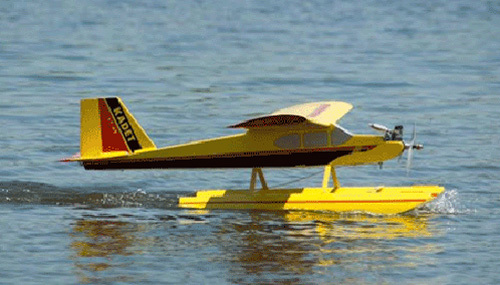 ......Randy M.
"Here is the Apprentice that we converted. 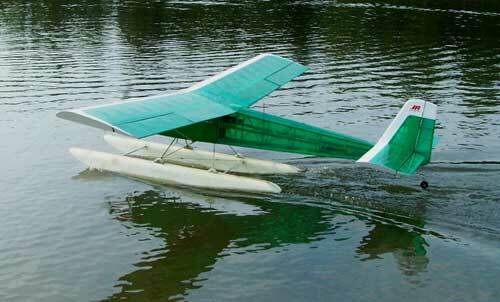 Very light weight, completed floats are under 5oz. 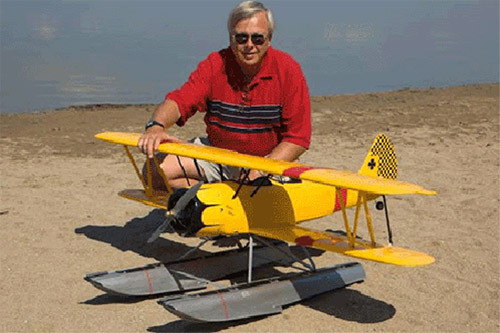 This was your 27” flat bottom." 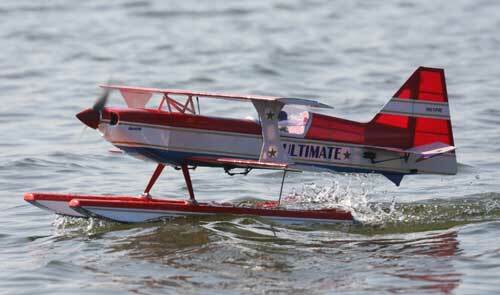 Brandon U.
Escapade 40 "Came out pretty well (won model on the month for August)" Jim W.
FOAMY ON FLOATS! 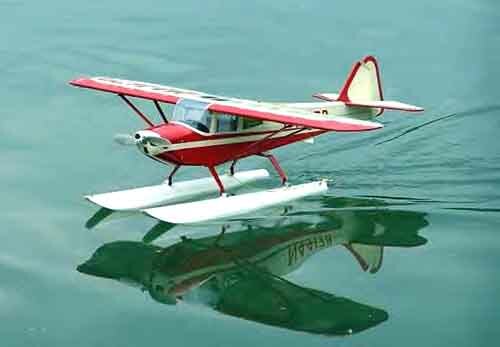 Why not we can put anything on floats. 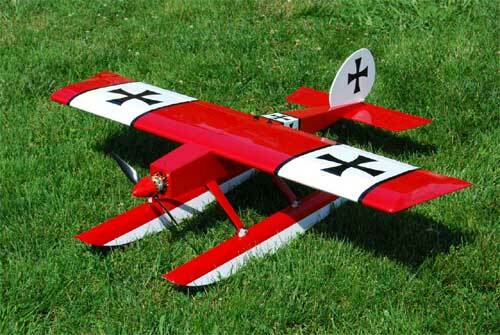 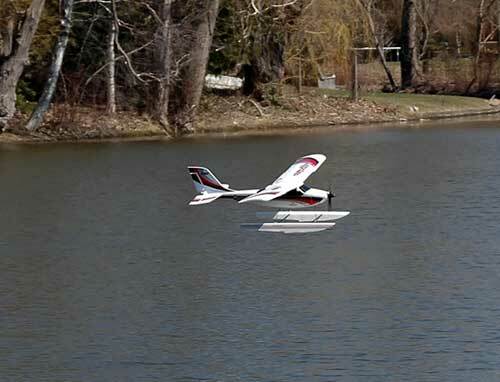 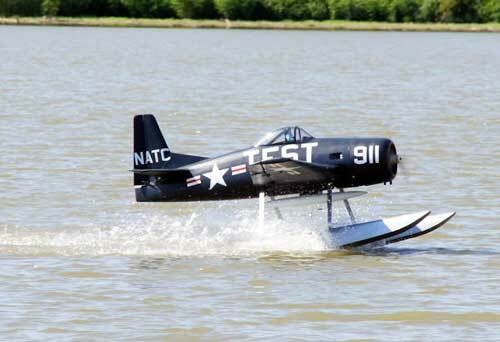 It fly's surprisingly well on floats. 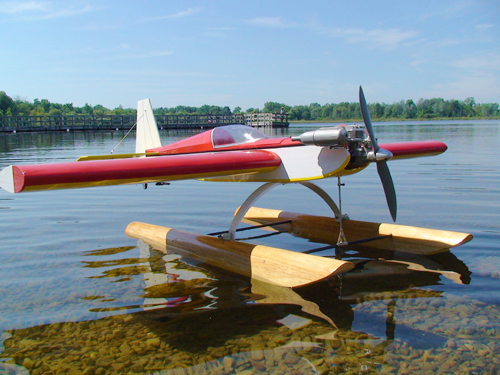 XS480 on 30" Floats "These are your 30in. 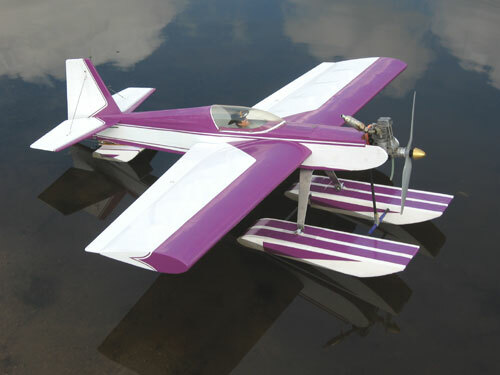 floats with one coat of Polycrylic and one layer of AeroFILM, (Solarfilm), covering, center foam strip/spine is replaced with laminate of two strips 1/16 balsa full length. 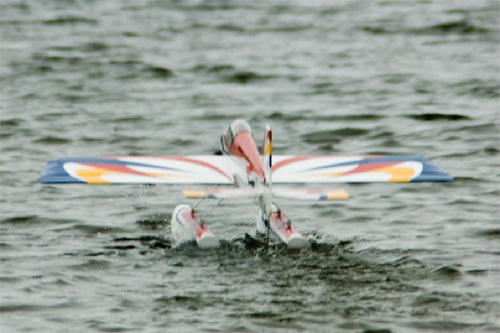 Total weight of both floats w/out wires is 5.5oz. 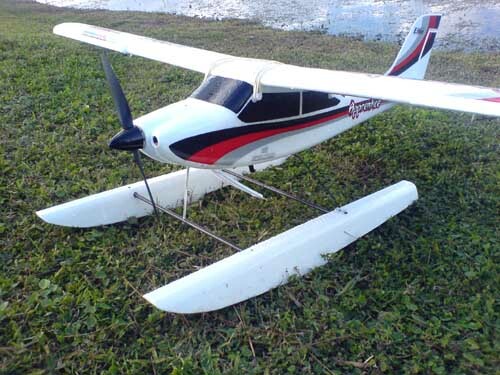 Total flying weight of plane is 29.75oz. 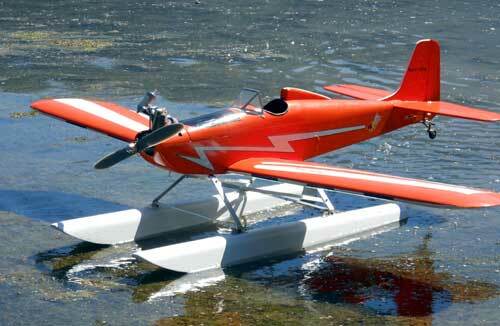 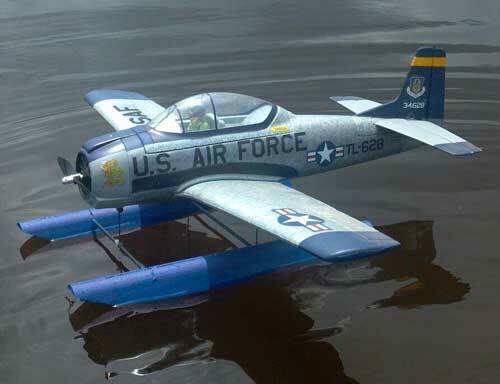 "...Eric R.
"The 30" floats are covered with silver Ultracote with no balsa sheeting. 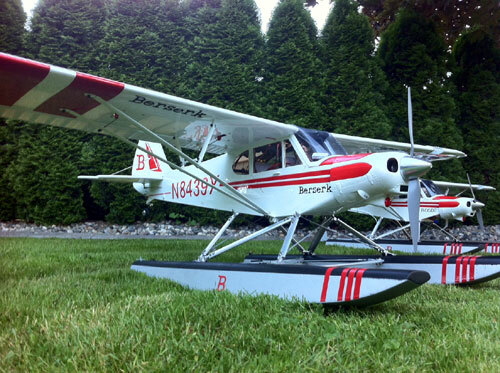 I’ve gotten about 50 flights on them over the past couple months and they work great." 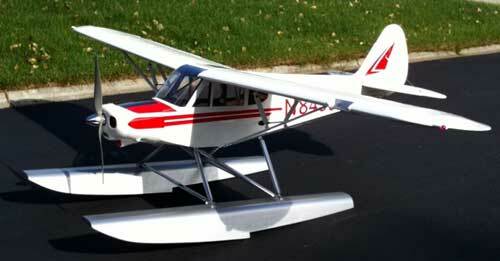 Mike C.
"Anyway, thanks again for your great product!!" 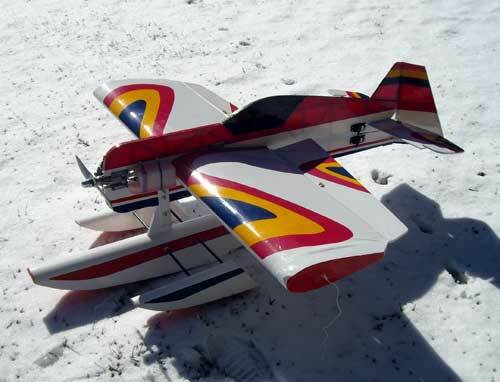 Note the 3 point attachment, saves weight and adds no tail weight so you don't need nose weight! 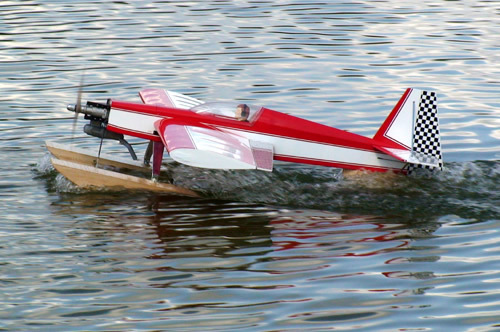 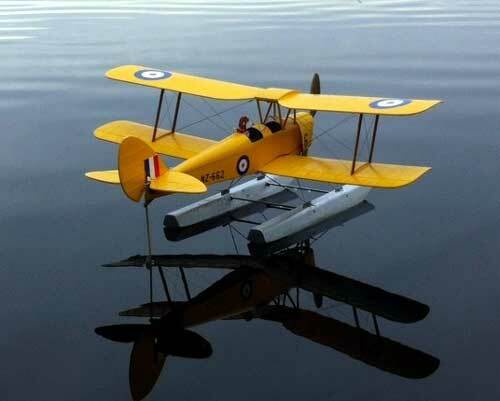 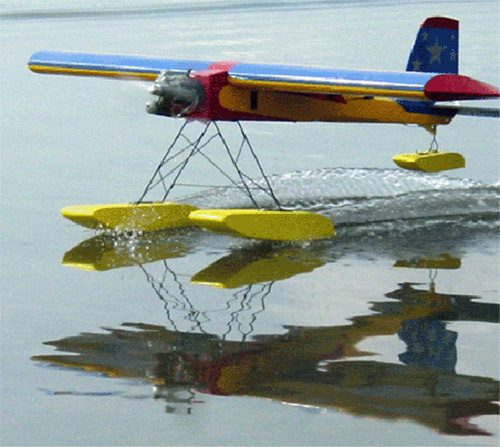 Guy Walsh's "Something Extra" 1st float plane "If I knew it was this easy to finish & put floats on a plane I would have got into float flying years ago, back to wheels in 10 minutes!" 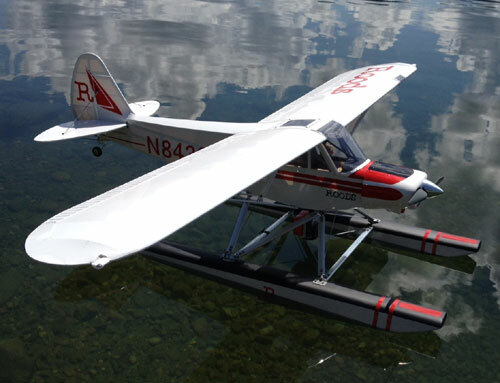 Roger Schmelling's Ultra stick on beautifully glassed & painted 40" Flat Bottom's..
MAYNARD RUPP'S SOMETHING EXTRA ON 34" FLOATS "PERFECT FLOATS FOR THE SOMETHING EXTRA"
DAVE TURNER'S UPROAR ON HOT~TIMERS "GREAT FLOATS, EASY TO TAKE OFF & LAND"
TAILS OUT OF THE WATER– PERFECT!